Today we made our own bath paint! This is so easy to do! It is so much fun for the Kiddies, and best of all, you know what is in it! First we painted the bath, then we washed all the paint into the water. Then we painted ourselves, then we washed ourselves. When we were finished we emptied all the left over paint onto the bath shelf and mixed mixed mixed! One hour of colorful fun! When we were finished we cleaned up = with water! Mix the shampoo together with the corn starch and mix well. It needs to be a reasonably thick consistency. Next divide the mixture into smaller containers and add food coloring to make different colors (we used an ice tray). You only need a very small amount of coloring! 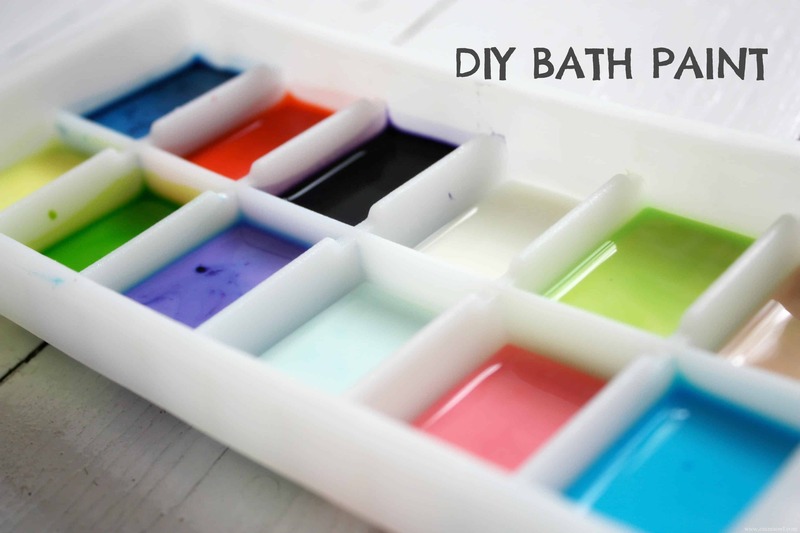 If your child has sensitive skin here is a bath paint recipe that does not include soap! We love having fun in the bath – here are all our Splishing Splashing Ideas!